My Chess relation with Korchnoi is difficult to explain. When in 1978 I began to study Chess seriously the Baguio match (Karpov-Korchnoi, World Championship match, Baguio , Philippine Islands ) was about to start. In those days the newspapers in my country were more interested in Chess than today. So there was a good coverage. I get acquainted with the Korchnoi’s story, the Soviet dissident who had defected to the West leaving his family behind. (For many years he fought to try to obtain the Soviet authorities permit to leave the country for them – his wife and a son-) His defection brought him a boycott on the part of the Soviet authorities: for some years Soviet chessplayers were not allowed to play in the same tournaments as him (with the exception of official World Championship matches), and many others from the Eastern block refused to give him the customary handshake at the beginning and end of the games. His Soviet ex-colleagues were also asked to sign a document against him. Some sources said that Karpov did not sign it as well as Botvinnik, who alleged he did not sign collective documents… Though Korchnoi had always had problems with the authorities -he used to openly said what he thought- the final straw appeared when in 1974 he had to play final of the Candidates’ matches against Karpov, the favourite of the Soviet authorities for the match against Fischer (had he won this match he would have been the Champion of the World instead of Karpov, as Fischer refused to play in 1975 -and here comes my doubt as everybody takes this for granted: if instead of Karpov the challenger would have been Korchnoi, would Fischer have played? 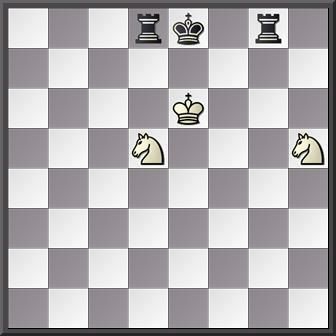 I say this because perhaps Korchnoi would have accepted Fischer’s conditions and, at any cost, there would have been a match, with the permission of the authorities or without it…) . In 1974 Korchnoi had many problems to find seconds who helped him as analysts. Some obscure manoeuvres took place during the match too. In the end, unable to contain his anger and after finishing a tournament in Holland (1976) , he went to a police station and asked for political asylum. After living for some time in Holland and Germany, he finally settled in Switzerland. Korchnoi was born in Leningrad in 1931. As many others, he suffered the hardships of WW2. He obtained the GM title in 1956 and in 1959 got a university degree in History. 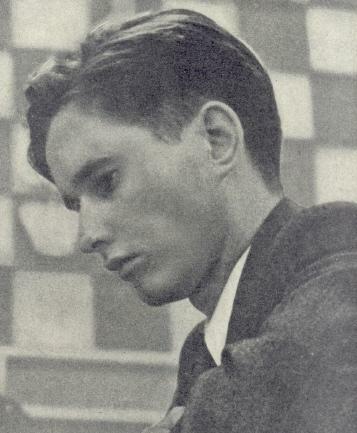 He won the USSR Chess Championship in four times: 1960, 1962, 1964 and 1970. Korchnoi was averse to make draws. He was characterized by a determined fighting spirit, stubbornness, will power, with a difficult character. His Chess style is difficult to define. A firm admirer of Lasker, he is an aggressive positional player with a penchant for defence, who always liked defending difficult positions. As the rest of top chessplayers, he rarely speaks about stylistic matters: the better you are at Chess -I’m speaking of top-GM level-, the more difficult you find to speak about style (perhaps because they have to master every aspect of Chess and to them stylistic considerations are too narrow to define how they understand Chess). 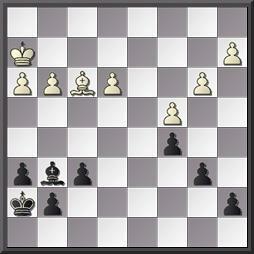 Korchnoi opening repertoire has been wide: as White he prefers 1. c4 – 1. d4 but has played other moves, like 1.g3 and 1. Nf3. As Black he has been a staunch defensor if the French (playing 1. 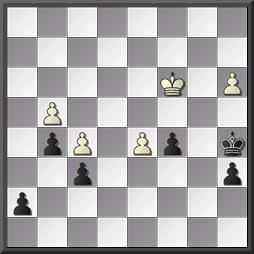 … e5 against 1. e4 , but also the Sicilian, the Pirc and even the Caro-Kann). Against QP games one of his pet lines has been the Grünfeld, though he has had many others in stock. A player like Karpov had many difficulties to beat him in 1974 (Candidates’ Final). But in 1978 (World Championship match) could have been even worse. From a 5-1 (the match had no game-limit with draws not counting), Korchnoi made a frantic effort, pulled himself up and reached a 5-5 . The match was plagued with incidents between both camps. Karpov and the Soviets had to retain the crown. Korchnoi was a defector, an enemy of the regime and had to be punished. The last game was a good victory for Karpov. But I will never understand why Korchnoi decided to play a Pirc turned in the end into an unfavourable -in my opinion- variation of the Benoni…Perhaps he thought Karpov was groggy and wanted to deliver the final blow as quickly as possible. But Karpov was also fighting for more than the title… Had Korchnoi managed to protract the match with three or four fought-out draws and perhaps the history of Chess would have been different. After defecting in 1976, Korchnoi had to play three Candidates’ Matches to become the challenger. His first opponent was the man Korchnoi labelled as his “arch-enemy”: Tigran Petrosian. In a stormy match, he beat the ex-Champion by +2 -1 =9. Next came another Soviet : L. Polugayevsky. He beat him too by +5 -1 =7 . The legend continued growing… The last opponent: Spassky. Another stormy event which ended in +7 -4 =7. At the end of everything, the defector, the enemy of the Soviet Union, the traitor, had swept away all his rivals and was threatening the supreme “Soviet” crown. After Baguio he continued playing tournaments though it was not till 1981 that Soviet chessplayers were allowed to play in the same events (Lone Pine 1981). In the next World Championship cycle, he beat Petrosian (+2 -0 =7). 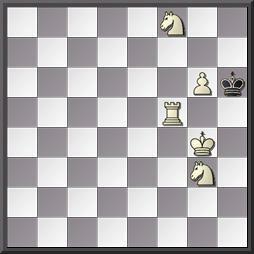 Polugayevsky ( +3 -2 =9 ) and Hübner (+3 -2 =3 -The German GM. abandoned the match). Again at the doors of the World Championship. This time Karpov beat him easily at Meran. Korchnoi continued playing and playing winning tournaments in excellent fighting spirit, even in candidates’ matches he producied excellent games too. But his time had passed. During the 80’s and 90’s of the past century he took part in the GMA tournaments, with the very best leading GMs. You can find his games in magazines and databases. In the final part of the post I will tell how I met Viktor “the Great, how I see him and will include some games.